​​Below are three scenario's that show the benefits of protecting the out-of-pocket cash value of your home equity investments versus leaving that cash value unsecured and unprotected. In this example, Homeowner A protected his 10,000.00 cash investment which costs him 500.00 based on a 5% Protected Value Assessment (PVA). 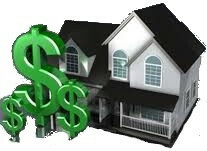 - In 3 years Homeowner A's 10,000.00 cash equity investment increased to 15,000.00, a 5,000.00 increase in equitable value. - It cost Homeowner A only 500.00 to protect the 10,000.00 cash investment, leaving him with 4,500.00. - As you can see, Homeowner A not only protected his out-of-pocket cash investments, but fully recovered the 500.00 it cost him to protect the 10,000.00, leaving him with a 4,500.00 profit. In the end, it does not cost Homeowner A a single penny to protect his home equity investments. In this example, Homeowner B protected her 10,000.00 cash investment which costs her 500.00 based on a 5% Protected Value Assessment (PVA). - In 2 years Homeowner B's 10,000.00 cash equity investments decreased in value from 10,000.00, down to 7,000.00, leaving Homeowner B with a 3,000.00 loss in equitable value. - Having depreciated in value to 7,000.00, had Homeowner B not secure and protect her 10,000.00 ​cash equitable investment, she would have suffered a 3,000.00 loss. - Because Homeowner B secured and protected her 10,000.00 cash investment, the equitable value of her investment remained 10,000.00 and she incurred no loss. In this example, Homeowner C declines to secure and protect his 10,000.00 cash equity investment. - In 5 years Homeowner C's 10,000.00 cash equity investment decreased in value from 10,000.00 down to 5,000.00, leaving Homeowner C with a 5,000.00 loss in equitable value. - Having depreciated in value to 5,000.00, Homeowner C has suffered a 5,000.00 loss by not protecting/insuring his 10,000.00 cash equitable investment. - Because Homeowner C did not secure and protect his 10,000.00 cash equity investment, he suffered a 5,000.00 loss. ​​​​​​​Below provides a simple explanation of how to compute the Protected Value (PV) of your home's equity when determining your cost under one of our Home Equity Protection programs. - Bob purchases a home for $300,000 USD. - Bob makes a $30,000 down payment towards the purchase of his home. - Bob makes $2,500 monthly payments, of which $700 / month goes toward the principle. - ​Year One Bob invest another $25,000 in remodeling. - Year One Bob makes $8,400 in principle payments. In the above example, the cost of protecting 100% of Bob's $63,400 of home equity is only $1,545.50 or 3.25 percent minus an additional 25% OFF the (PV). Once secured, the Value of Bob's home equity investments remain Secured and Protected for as long as he owns his home. If Bob chooses to protect the value of additional equitable investments he makes in his home, he would use the same computation method to determine his cost. The only variable would be the Tier Rate which is determined by the Protected Value. Cancellation of Bob's membership agreement does not terminate the existing equitable investments Bob has secured and protected in his home.